Dodge City in Brookfield offers our customers more for their money when it comes to getting their vehicle serviced or repaired. With Mopar® Service in Milwaukee from Dodge City, you get a guarantee of our work along with the comfort of knowing the parts we’ve replaced on your car, truck or SUV are genuine OEM Mopar® parts. In addition, all of our service customers receive a free car wash and free multi-point inspection so you get a heads up of any issues before they give you real trouble. Our commitment to excellent customer service is paramount and our staff is highly trained to give you the right information and the right prices to make your maintenance and auto service decisions easy. 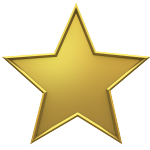 Finally, all of our service work is completed by factory trained Dodge, Chrysler, Jeep, RAM, Fiat technicians. 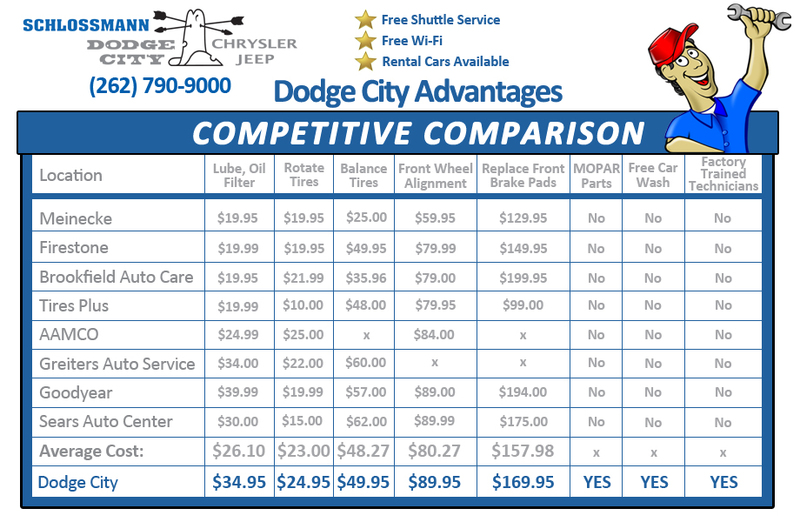 These are the service advantages at Dodge City instead of a local corner shop or retail chain. While you wait, we offer free wi-fi, free refreshments and fresh cookies. If you need a ride to work or back home instead of waiting, we offer free shuttle service or have rental vehicles available. Schlossmann Dodge City Chrysler Jeep RAM FIAT	43.0915713, -88.149964.